The sugar-coated bullets of the “free market” are killing our children. The act to kill is instrumented in a detached fashion through computer program trading on the New York and Chicago mercantile exchanges, where the global prices of rice, wheat and corn are decided upon. People in different countries are being impoverished simultaneously as a result of a global market mechanism. A small number of financial institutions and global corporations have the ability to determine the prices of basic food staples quoted on the commodity exchanges, thereby directly affecting the standard of living of millions of people around the world. Spiraling food prices are in large part the result of market manipulation. They are largely attributable to speculative trade on the commodity markets. Grain prices are boosted artificially by large scale speculative operations on the New York and Chicago mercantile exchanges. Scroll down to read an excerpt of Michel Chossudovsky’s chapter focussing on the manipulation of global food prices. Since the launching of the book in early June, we have been flooded with orders, and excellent reviews continue to come in. This title is available at a special introductory price for Global Research readers for $15.00 plus s&h (list price $25.95). The book is also available on Amazon and in selected bookstores in the US (distributed by Ingram). This process of global impoverishment has reached a major turning point, leading to the simultaneous outbreak of famines in all major regions of the developing world. Famine is the result of a process of “free market” restructuring of the global economy which has its roots in the debt crisis of the early 1980s. 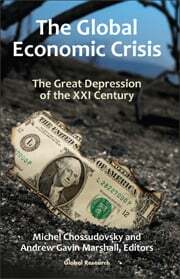 It is not a recent phenomenon associated with the 2008-2009 economic crisis, as suggested by several Western analysts. Poverty and chronic undernourishment are pre-existing conditions. The dramatic hikes in food and fuel prices which preceded the 2008-2009 financial crash contributed to exacerbating and aggravating the food crisis. These price hikes, which reached their peak in July 2008, have hit the market for basic food staples, including domestic retail prices, in all regions of the world. Many Somalis are trying to stave off starvation with a thin gruel made from mashed thorn-tree branches called jerrin. Some village elders said their children were chewing on their own lips and tongues because they had no food. The weather has been merciless – intensely hot days, followed by cruelly clear nights. This is a catastrophe in the making; we have time to act before it becomes a reality. The cost of food [in Somalia and the Afar region of Ethiopia] has escalated by up to 500 percent in some places… People are increasingly becoming desperate… We fear that the worst could be yet to come as the crisis deteriorates across East Africa. 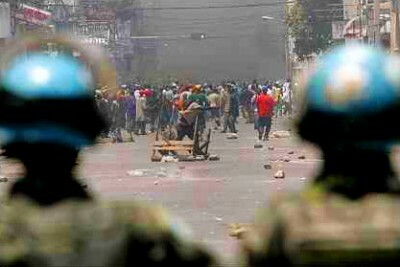 Other countries which were affected by spiraling food prices in 2007-2008 include Indonesia, the Philippines, Liberia, Egypt, Sudan, Mozambique, Zimbabwe, Kenya and Eritrea, a long list of impoverished countries, not to mention those under foreign military occupation including Iraq, Afghanistan and Palestine. While the price of food commodities declined markedly in the wake of the 2008 financial collapse, the underlying mechanisms of manipulation of world commodity prices by powerful corporate interests and institutional speculators has remained functionally intact. A new wave of speculative trade in food staples and fuel cannot be ruled out. The provision of food, fuel and water is a precondition for the survival of the human species. They constitute the economic and environmental foundations for development of civilized society. In recent years, both prior and leading up to the 2008-2009 financial meltdown, the prices of grain staples, including rice, corn and wheat, gasoline and water, increased dramatically at the global level with devastating economic and social consequences. Unprecedented in the history of humanity, these three essential goods or commodities, which in a real sense determine the reproduction of economic and social life on planet Earth, are under the control of a small number of global corporations and financial institutions. The fate of millions of human beings is managed behind closed doors in the corporate boardrooms as part of a profit driven agenda. Government and intergovernmental organizations are complicit in these developments. The state’s economic and financial policies are controlled by private corporate interests. Speculative trade is not the object of regulatory policies, and in fact the opposite holds true: the framework of speculative trade in the commodity exchanges is protected by the state. Moreover, the provision of food, water and fuel are no longer the object of governmental or intergovernmental regulation or intervention with a view to alleviating poverty or averting the outbreak of famines. Largely obfuscated by official and media reports, both the “food crisis” and the “oil crisis” are the result of the speculative manipulation of market values by powerful economic actors. And because these powerful economic actors operate through a seemingly neutral and “invisible” market mechanism, the devastating social impacts of engineered hikes in the prices of food, fuel and water are casually dismissed as the result of supply and demand considerations. We are not dealing with distinct and separate food, fuel and water “crises” but with a global process of economic and social restructuring. The dramatic price hikes of these three essential commodities are not haphazard. All three variables, including the prices of basic food staples, water for production and consumption and fuel, are the object of a process of deliberate and simultaneous market manipulation. At the heart of the 2005-2008 food crisis was a rising price of food staples, coupled with a dramatic increase in the price of fuel. Concurrently, the price of water, which is an essential input into agricultural and industrial production, social infrastructure, public sanitation and household consumption, has increased abruptly as a result of a worldwide movement to privatize water resources. We are dealing with a major economic and social upheaval and an unprecedented global crisis, characterized by the triangular relationship between water, food and fuel – three fundamental variables which together affect the very means of human survival. In very concrete terms, these price hikes impoverish and destroy people’s lives. Moreover, the worldwide collapse in living standards is occurring at a time of war. It is intimately related to the military agenda. The wars in the Middle East and Central Asia bear a direct relationship to the control over oil and water reserves. While water is not at present an internationally traded commodity in the same way as oil and food staples, it is also the object of market manipulation through the privatization of water. Water is a natural resource which is being appropriated and sold. The tendency is toward the commodification of water. Both the state as well as the gamut of international organizations – often referred to as the “international community” – serve the unfettered interests of global capitalism. The main intergovernmental bodies, including the United Nations, the Bretton Woods institutions and the World Trade Organization (WTO), have endorsed the New World Order on behalf of their corporate sponsors. Governments in both developed and developing countries have abandoned their historical role of regulating key economic variables as well as ensuring a minimum livelihood for their people. The media has casually misled public opinion on the causes of the 2005-2008 price hikes, focusing almost exclusively on issues of costs of production, climate and other factors which result in reduced supply and which might contribute to boosting the price of food staples. While these factors may come into play, they are of limited relevance in explaining the impressive and dramatic surge in commodity prices. Spiraling food prices are in large part the result of market manipulation. They are largely attributable to speculative trade on the commodity markets. Grain prices are boosted artificially by large scale speculative operations on the New York and Chicago mercantile exchanges. It is worth noting that in 2007, the Chicago Board of Trade (CBOT), merged with the Chicago Mercantile Exchange (CME), forming the largest worldwide entity dealing in commodity trade, including a wide range of speculative instruments (options, options on futures, index funds, etc). Speculative trade in wheat, rice or corn can occur without the presence of real commodity transactions. The institutions speculating in the grain market are not necessarily involved in the actual selling or delivery of grain. The transactions may use commodity index funds which are bets on the general upward or downward movement of commodity prices. A “put option” is a bet that the price will go down, a “call option” is a bet that the price will go up. Through concerted manipulation, institutional traders and financial institutions make the price go up and then place their bets on an upward movement in the price of a particular commodity. Speculation generates market volatility. In turn, the resulting instability encourages further speculative activity. Profits are made when the price goes up. Conversely, if the speculator is short-selling the market, money will be made when the price collapses. below, click here for details. 1. Bill Van Auken, “Amid Mounting Food Crisis, Governments fear Revolution of the Hungry”, Global Research, http://www.globalresearch.ca/index.php?context=va&aid=8846, 30 April 2008. 2. Jeffrey Gettleman, “Famine Looms as Wars Rend Horn of Africa”, New York Times, http://www.nytimes.com/2008/05/17/world/africa /17somalia.html, 17 May 2008. 3. Oxfam’s Rob McNeil, quoted in Barry Mason, “Famine in East Africa: Catastrophe threatens as food prices rise”, World Socialist Website, http://www.wsws.org/articles/2008/aug2008/east-a06.sh tml, 6 August 2008. Andrew Gavin Marshall is an independent writer both on the contemporary structures of capitalism as well as on the history of the global political economy. He is a Research Associate with the Centre for Research on Globalization (CRG). “This meticulous, vital, timely and accessible work unravels the history of a hydra-headed monster: military, media and politics, culminating in “humanity at the crossroads”; the current unprecedented economic and social crisis… From the first page of the preface of The Global Economic Crisis, the reasons for all unravel with compelling clarity. For those asking “why?” this book has the answers.” –Felicity Arbuthnot, award-winning author and journalist based in London.